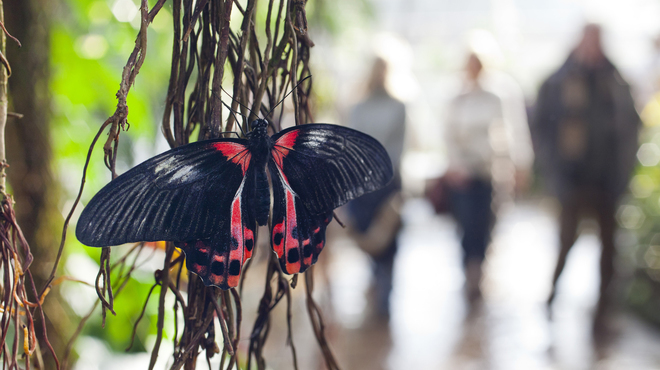 See exotic butterflies take flight amongst the flowers and fruit of the nectar plants in the tropical paradise of the Glasshouse! Marvel at the colours and sizes of the different species – if you’re lucky, one might even land on you! New for 2015 will be a display of sculptures depicting butterflies and caterpillars, by Alison Catchlove an artist based in Shere. Her work has been inspired by previous visits to Butterflies in the Glasshouse!